Before we really get into the meat of this, I think it’s important to reiterate that Graham and Zweig both focus on leveraging the past data of the market not to try and predict what will happen, but to help give context to any potential current market analysis. Graham begins his lesson by speaking directly about the business cycle. Noting without bias that the market has represented itself at both very high (dangerous) and very low (more favorable) levels to the value investor. 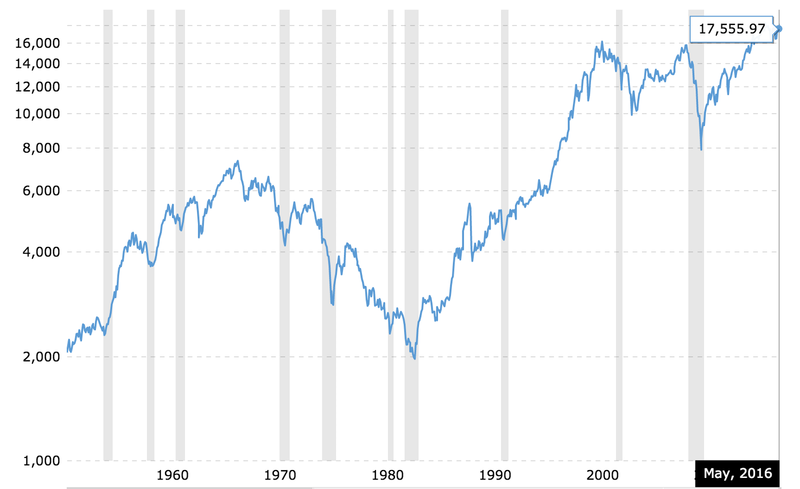 By taking a look at 10 year averages we begin to get a better feel for how the business cycle has influenced, or been influenced by the thoughts and feelings of investors and speculators alike. He notes that the Intelligent Investor would do well to pay attention to how the price, earnings and dividends of issues has changed with the business cycle but that the changes may not even show correlation to the business cycle, much less causation. What past data can suggests is, typically, mega-rises have tended to disappoint,while major crashes have usually evened out at a higher level than the “experts” had forecasted. Taking a look at 1964 compared to our 2016 current situation, we can draw on the following comparison between then and now. 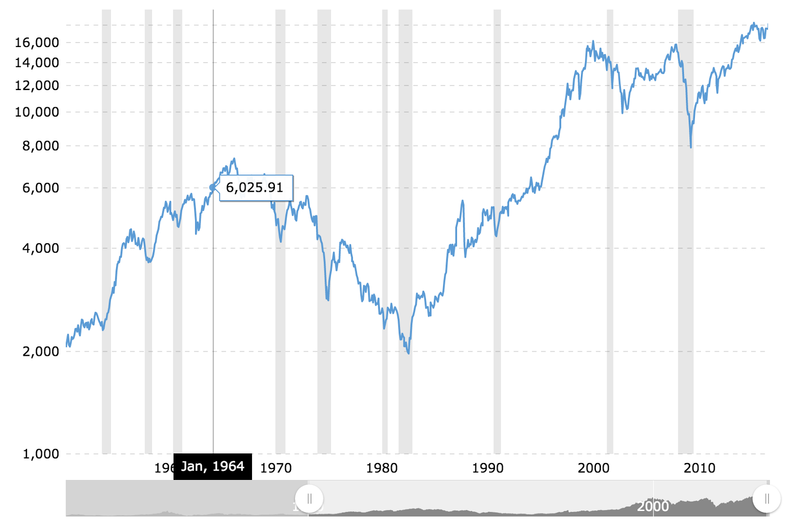 Graham typically argues that the price of the S&P 500 and DJIA is too high and that investors need to care for their capital by comprising at least half their portfolios with safer alternatives to stocks. Comparing this to today, with both indexes at their high, I feel that he’d recommend the same advice. This time however, the bond rates aren’t the cushy 3–4% they were in ’64. The safe haven of a bond now comes at the price of 4% , versus the 1–2% of the past. It seems we get put in a bit of a precarious situation given that the price of the stock market doesn’t seem based in reality and bond offerings are less than dismal. Some advice Graham may continue to reiterate is to develop a consistent and controlled common stock policy. Discouraging the “beat the market / pick the winners” mentality. Recall defining the investor and incorporating principles of investing for value. Graham turns his attention to reflecting on the the price of stock offerings versus their earnings and dividend yields. 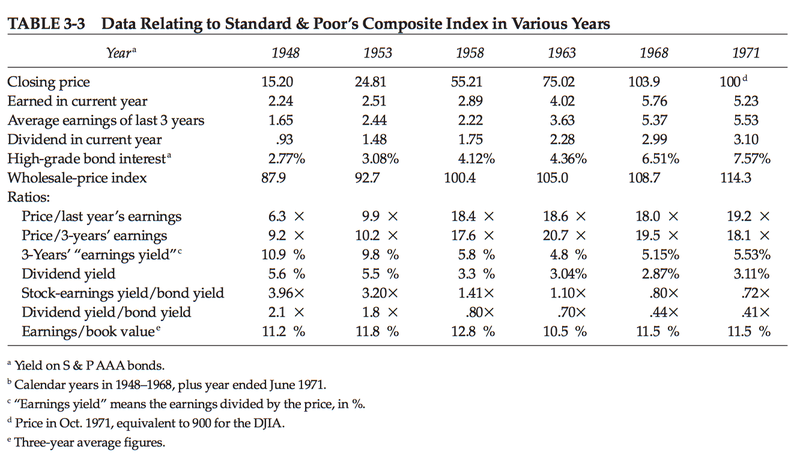 Using the table below he explains how we see the multiples of EPS and dividend growth failing to match that of an issue’s price growth. In this case, you’re paying more for less, which highlights that the price you pay is not equal to the value of the issue. Zweig’s commentary again offers insight and strengthens Graham’s arguments.